Whether you’ve been shopping around for a centrifuge for a long time, or have just started considering investing in one, our experts give you answers to the most important beer separation questions. and challenges that brewpubs and microbreweries face. Not only that, they share your passion for making – and tasting – great beer. Why would a small craft brewery want to consider separation technology? No matter the size of your brewery, separation can offer a number of new opportunities. Installing a centrifuge is a long-term investment in both the quality of your beer and your business’s bottom line. And with today’s technology, even the smallest brewpubs and microbreweries can see the same benefits as larger craft breweries. How can a centrifuge improve the flavour and aroma of our beers? Creating great beer all comes down to having great ingredients. Unfortunately, a lot of filtering and clarification alternatives will strip out the volatile aroma and flavours you want to capture in your beer. Separators are the smartest way to remove the particulates you want out of your beer, while preserving the value of your unique ingredients. Why would we want to use a separator if we brew hazy beers or stouts? Many brewers of hazy or darker beers assume that they would have little to gain from installation a centrifuge in their operation. But separation technology has a lot to offer in the brewing of hazy beers, stouts and more. As a gentle and efficient way to remove core solids, you can ensure consistent, high-quality beer along with an increased yield. How can a separator help us increase our output? Investing in a separator is the smartest way to get more out of your fermentation time without buying additional tanks. You can greatly increase yield, saving more of the beer you already brew, as well as boost your capacity with faster tank turnover. At the end of the day, that means more pints in customer hands – and more profit for you. Would adding a centrifuge to our production increase the risk of dissolved oxygen pickup? Minimizing dissolved oxygen pickup is important both for preserving the flavour of your ingredients and getting the longest shelf-life. Only Alfa Laval separators for craft and microbrewers have the Axial-Hermetic Seal, which minimizes the risk of oxygen pickup without requiring costly CO₂ or deaerated water to function. What can we expect in terms of the financial benefits of a separator? Installing a centrifuge in your brewery is truly an investment in long-term profitability. Between boosting your yield and producing a high-quality, premium beer that your customers will love, the benefits of your separator will make sure that you see a fast return on your investment that pays dividends for years to come. How can we make sure we pick the right model centrifuge for our brewery? From Brew 20 for the smallest craft brewers to our larger, fully hermetic models, Alfa Laval offers a wide range of separators that have been engineered to meet the needs of craft brewers of all sizes. Our industry experts work with you to make sure you get the perfect fit for today, and support you as your brewery continues to grow. How can you help us with installation and with long-term support? Alfa Laval has a global service network with trained field technicians who possess unique brewery experience and expertise. We work closely with you from installation and commissioning, through the entire lifetime of the equipment. Whenever and wherever you need us, we can provide service and parts, or support to make sure you’re always getting the most from your centrifuge. Quality beer takes quality tools. 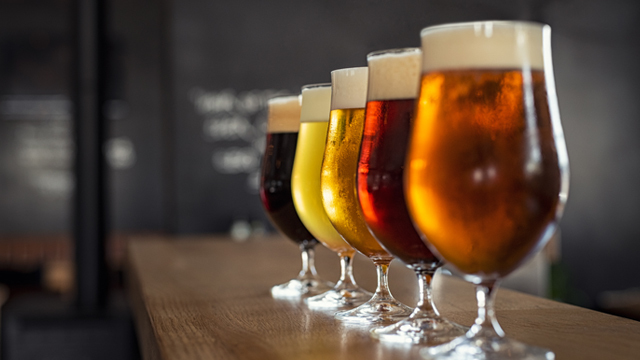 If you want to discover the possibilities of increased yield along with improved flavour, aroma and heat retention, get in touch to see how we can support your brewery with an Alfa Laval Brew centrifuge. Click below to get a quote.